I have always been a fairly simple person when it comes to jewelry. I’ve recently had more fun with accessorizing in this department (maybe because I have three boys and don’t get to accessorize much with them!). But I still can’t get away from my preference for a simple pair of earrings and a necklace. And after years of jumping back and forth among necklaces, I have found the perfect one for a casual mom! 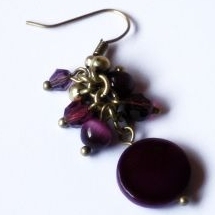 Suzanne Myers is an artist in Nashville, Tennessee, who creates jewelry. Her designs are simple and beautiful. 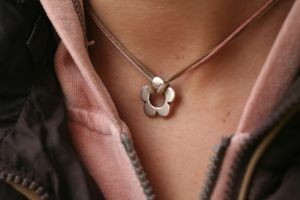 And after seeing her necklace on one of my friends, I knew that I had found one that would last me years. Her name charm necklace is a casual, modern take on the classic “charm bracelet.” However, unlike most “kids on my necklace” necklaces, this one is very simple and subtle. 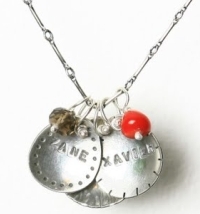 Suzanne lets you choose between two styles of chains, and several different charm designs, each charm with your child’s name on it. The cable chain (which I have) is more casual, while the bar-link chain has a very slightly more delicate appearance. 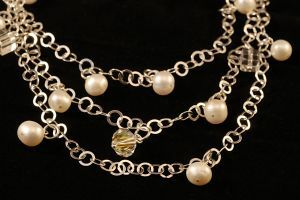 Each necklace also comes with two stones, which you also get to select. And don’t worry if you have to add another name later. Just send your necklace back to her (after emailing her to let her know it’s on its way), and she’ll add whatever charm you want for only $10. 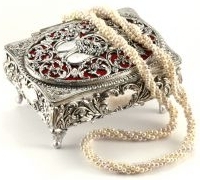 I am all about getting good deals, and I have to admit, this necklace is more than I would usually spend on a necklace, or any piece of jewelry. However, I wear this necklace almost every day, and I think this is something to consider. I’ve easily spent the amount of this necklace on many other pieces of jewelry combined that are now resting quietly (and dustily) at the bottom of my jewelry box. I consider this necklace to be well worth what I paid. It is one-of-a-kind, created by a local artist, and is very well made. With Christmas quickly approaching, now might be a great time to check out her site (and just happen to leave it up for your husband!). If you are like me and you prefer the casual, simple approach to accessorizing, consider one of Suzanne’s necklaces—I don’t think you’ll be disappointed! Special offer to Pierce My Heart readers! Suzanne has offered to give a $10 off, with free shipping, discount to anyone who orders a name necklace (great Christmas gift!) by November 30 and mentions that they read this review on Pierce My Heart. I love saving money, and I have a hard time tossing down huge amounts for clothing (Goodwill, anyone?). Now, there are some things that are worth paying a little more for—good-quality classic pieces that will outlast the trends. But especially in this economic climate, and especially when our size is often changing with age, pregnancy, and diet, spending a lot on clothing can be impractical—and unnecessary. I love to spend time with my friends, and I love new clothes. So may I suggest a perfect combination—no shopping required. For some “new” additions to this fall’s wardrobe, swap, don’t shop. Round up some of your friends, “old” clothes in hand, and enjoy the pleasure of a new wardrobe from the comforts of your living room. Leave the kids and the cash at home. Inform your friends. Let your friends know that you’re organizing this swap. Grab some girls from your mom’s group, church, carpool, or neighborhood. There doesn’t need to be a limit on the number, but keep in mind how much space you’ll have for the swap. One thing to consider: styles and sizes may vary. Make the best attempt to invite those who have similar tastes and body types. Choose a time and location. Make sure the location is large enough for your group and all their clothes, and that there is a clear-cut starting and ending time. It’s also nice if there are several “dressing rooms” for girls to try on things. Collect your clothes. Make sure all clothing is in good condition. Items should be clean, without stains and dirt. Don’t even bother bringing clothing with holes, unless the pieces have been well mended. Remember, if you wouldn’t want it, why would anyone else? The reasons for parting with your clothes is because your style and size change, not because they’re unwearable. Also consider including shoes and jewelry—I have had plenty of unworn accessories in the past that could have had a much better home elsewhere. Determine the rules. How will the swap be handled? I don’t recommend a free-for-all. Perhaps have a drawing, where each girl chooses a number and you continue in that order until everyone has had a chance to accumulate some pieces. Swaps may also have the restriction that you may take as many items as you brought. Make it enjoyable. Turn on some great music. Clear the house of men and kids. Set out some snacks, desserts, and drinks (each person may contribute one food item). Acquire some great “new” pieces, clear out some of your own that are cluttering your closet, but most importantly, have some great fellowship with friends. As you are hauling your new wardrobe back to your house, after an enjoyable time with friends, you may be planning your next swapping adventure. Who knows, maybe you’ll never shop again. One size fits all––words we all love to hear. Whether it’s gold or silver, jeweled or not, it’s nice to know that there are some things in our wardrobe that will always fit. And there are few ways to add to or complete an outfit more easily or inexpensively than jewelry. Whether an occasion calls for something casual and basic or a little more formal, there is an abundance of accessories to be found. While everyone has her own taste in jewelry, there are a few simple things to remember when accessorizing. Sometimes, especially if we’re new to accessorizing, we tend to overdo it. We figure that, when it comes to jewelry, we need one necklace, one pair of earrings, one bracelet, our watch, a ring. Remember that your jewelry should complement your outfit, not overwhelm it. Allow it to add some color and personality to your wardrobe without using it to make your ultimate statement. So, I’ve often heard it said to put on the jewelry you have planned and then remove one piece. This usually cuts down on any overdoing. Some people have a problem when it comes to earrings and necklaces. They find a great, dangly pair of earrings that would go great with an outfit, and also a chunky necklace to wear with it. But when both pieces are worn together, they compete with one another. If you are wearing an attention-getting necklace, keep your earrings simple––gold or silver hoops or small studs. If you really love the way a pair of earrings looks with an outfit, wear a simple, complementing necklace with them, or skip the necklace altogether. Although fun, playful bangles are popular right now, they can also be very distracting––not to look at, but to hear. Keep this in mind when accessorizing. If you’re going to be at school or church, or some other “quiet” location, don’t wear something––like bangles––that are going to be distractingly noisy every time you move. Save them for a fun day out with friends. One great thing about jewelry––specifically earrings and necklaces––is that it draws the focus upward, toward your face, and away from any areas you don’t want noticed. (Also, longer necklaces tend to slim the body because of the vertical lines they create.) Colorful necklaces and dangly earrings frame your face, making it more of a focal point. This is where we want others’ focus to be––on our face. Whether you’re hanging out with some girlfriends, dining with your husband, or attending a wedding, it’s always the perfect time to start accessorizing your wardrobe. Remember, though, that our beauty should not come from what we put on but by what is coming out of us (1 Peter 3:3). We are most beautiful when we are reflecting Christ through the Spirit in us. This month, we’re giving away a necklace, perfect for the married or unmarried, or even as a shower gift for a special bride-to-be in your life. 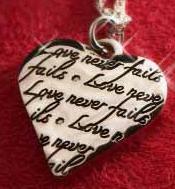 This heart-shaped necklace with the phrase “Love never fails” enscripted on it is a simple and perfect way to dress up any outfit, casual or not. To enter the contest, please leave a comment by August 29 on this post telling us what your favorite piece of jewelry is, or a subject you’d like to see covered in a future Style Sense article. We’ll announce the winner on August 31. Good luck! Visit our Monthly Issues page to view all of our past themes, and visit our August 2009 page to read our entire current issue, in a blog-type format, about marriage. Some of us may sleep in baggy pants and t-shirts every night, but we can get cute and modest pajama’s for a reasonable price. Gap has great pajama pants – check in stores to find better deals on their clearance racks. Old Navy has a ton of cute pajama sets for reasonable prices. (The immodest are mixed in with the modest on their website, so shop with caution.) Fashion Bug has pants for $12 that can be combined with a solid color tee. You can get an entire pajama set (capris and a matching t-shirt) for $18.99 including shipping at crazyforbargains.com. Pajamas are a great thing to buy at places like Value City or TJ Maxx, so check discount shops in your area for even better deals. If you’ve been reading this column, you know the modesty rules: Nothing spaghetti strap, nothing midriff or cleavage showing, and shorts need to be close to knee length. It’s important to be careful to dress modestly at all times, even when the clothes are just intended for sleepwear. Visit our modesty section for more guidelines, and to read verses from God’s Word regarding modesty. Whether you’re going away to college, or will be living with your parents this fall, have fun accomplishing your late-night study sessions in style! We recently discussed casual work attire, and some general tips to keep in mind. Now we’re going to cover office wear. If you’re searching for or already have a job which requires a more “professional” look, there are several basic pieces you should include in your wardrobe. Remember to be conscious of modesty issues with whatever you buy for the workplace. Although some work places don’t have rules about modesty, choose to dress with care, and choose to stand out for having good morals. Let’s get started! Dark suit––The suit doesn’t need to be black, but if you are working in a more “professional” environment, you will probably be required to have a suit, at least for certain occasions, such as meetings with clients. Dark solids, such as black, navy, or gray, will give you the most versatility and should last for years since they are classics. Although a simple pinstripe is fine, I would not recommend getting any suit that is too trendy or has too many distractions (such as hardware, large buttons, bold patterns, etc.). The pants should not be skin tight, and they should have a straight or slightly boot cut leg. Although flare legs or ultra-wide leg may be “in,” they are styles that may not be as versatile or stand the test of ever-changing trends. Pants––If you’re buying dress pants for your job, you should have several basic pairs. Black, dark brown, and light khaki are great colors that go with most tops. You can go with solid, a small, light pattern, or pinstripe. Although straight leg and boot cut are the most basic, you could try these pants, on sale, in a wide-leg style, which is very popular right now. Again, don’t go too tight––or too low! No one should be able to see your underwear (or anything else) when you lean forward or squat down. These pants don’t need to be incredibly expensive, but buying the cheapest possible will probably result in them wearing out faster. Kohl’s and Target have some relatively inexpensive styles and brands (many of which are designer names and quality sold at “un-designer” prices). Skirts––If you live in a hot, humid climate, you may want something a little cooler for the office. Skirts are very popular right now––and there are so many modest styles! For a more business look, you can opt for the pencil-style skirt, which is straighter. There are also a ton of A-line skirts available right now. Whichever skirts you choose, make sure they are modest and appropriate. Your skirt should reach your knees and should not ride up when you sit down; this should be quite easy to manage since many styles now are below-the-knee. As with the pants, make sure your skirts are not too tight. Dresses––The same rules apply for dresses as do skirts. Not too short, not too tight. But also, the top should not be too low or revealing. A very cute, popular style right now is the shirtdress. Again, solids will be most versatile, as will simple, small prints. Save bolder prints for evenings out or the weekend. Shirts/Blouses––Number one rule here: not too tight––keep it modest! If a shirt is low-cut or short, make sure it looks professional with a nice camisole underneath before purchasing. And although this applies to non-work clothing, I still include it here––it is very unprofessional to wear revealing tops (no matter how often we see the lawyers and accountants on TV wearing them). If you wear button-down shirts, make sure that they are buttoned high enough not to reveal cleavage, and make sure the buttons don’t pucker when you move around. When in doubt, wear a tank top underneath! Shoes––Your most useful pair of shoes for work will most likely be black heels. This does not mean 4-inch platforms or spiky stilettos. Depending on your style and comfort, I would go with a heel not more than two or three inches. Pointy toes may be comfortable to you, but if you need to purchase new shoes, I would recommend something more classic, such as a slightly rounded or square toe. Make sure the shoes have a back, or at least a strap––there’s nothing more awkward than slipping out of your shoes on the way to a meeting or while running errands. As for other shoes, check your employer’s dress code for guidelines. Some may not mind open toes (no flip-flops! ), and you may notice other women in the company donning their favorite patterned dress shoes. As with the rest of your wardrobe, the most important thing when choosing clothes for work is to make sure they are modest. “I also want women to dress modestly, with decency and propriety…” (1 Timothy 2:9). You are representing God and His church, and your appearance should reflect that. Summer is approaching, and whether you’re graduating high school or college, getting a new summer job, or staying at a job you already have, you’ll need clothes for work. However, even your basic khakis don’t have to be bland, and your classy black suit doesn’t have to cost hundreds. You can look stylish and presentable, even on a budget. With any job, research and ask about the company dress code. 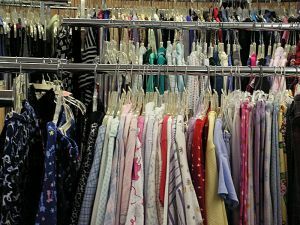 While some jobs may only require the same look each day (and possibly provide you with the uniform), others will simply have guidelines (dress pants, closed-toed shoes, button-down shirt) or may require you to wear clothing purchased (usually at an employee discount) from their store. You may also be able to purchase that store’s clothing (if required) at consignment shops, or on eBay, or by shopping the store’s clearance rack. 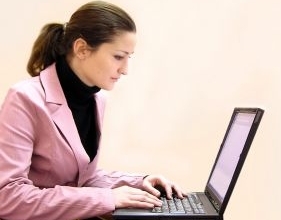 In this time of economic difficulty, you may not be able to find the “perfect” job you’ve always wanted. While it’s great to find a job you can enjoy, it’s important to remember that you should work as for God and not men, being diligent and having integrity, regardless of how “insignificant” your job may seem, or whether it allows you to wear the clothes you want to wear (Proverbs 10:9a). Not only is this attitude pleasing to God but it will also be noticed by others in the workplace. Many companies you work for may have a very casual dress code. However, this does not mean wearing your t-shirt and jeans to work every day. Pants––Khakis are a great staple for the casual workplace. Depending on the “uniform” guidelines, I would have several pairs (unless there is a certain color you are to wear). A darker camel or brown color also works well. For extra versatility, keep the style as simple as possible––no big pockets, embellishments, or ultra-flared legs. Shirts––Again, same rules apply as with the office workplace. Keep it modest! There is generally more flexibility here when shopping for casual work shirts, however. Make sure you check with your employer’s dress code as to whether you need a specific color (red, pastel) or style (polo). Jeans––The trouser jean has been a great addition to a girl’s wardrobe. In a dark color, these jeans can create a very put-together look, while keeping a sense of casualness. They should have a trouser fit––not too tight, but not loose and baggy––and should be a dark denim color. They should also not be too long, or else they start to look sloppy. As the name suggests, they are trousers made out of denim material––the fit should reflect that. Shoes––Unless you’re working a very casual job (read: babysitting), flip-flops are not going to cut it for work. However, there are many styles that will. A wedge heel is great if you want some height, or the currently popular (and often inexpensive!) flats are a perfect option––especially if you’re on your feet all day. Later, we’ll discuss office attire, including tips and stores about purchasing different pieces, so check back! The random winner of Bellissima’s $25 gift card is Anna (minkona@)! You should have an e-mail from Pierce My Heart in your inbox. If not, please contact us within seven days to claim your prize. Thanks to everyone who participated in this contest by leaving comments on our article. If you didn’t win this month, please try again in June, because we have another fun giveaway coming up. Congratulations, Anna! We pray this gift card will give you a great start to having a stylish and modest summer wardrobe. This month’s giveaway, valued at $25, is featured at the end of this article. Keep reading for details. With warmer weather approaching, that generally means less clothing. While we definitely don’t need to hide in jeans and long-sleeved shirts all summer, we still need to make sure our warm weather wardrobe is appropriate. A recent formal-wear article talks about why it’s important to dress modestly, and gives basic modesty tips that can be applied to everyday summer wear as well. For a refresher, read 1 Timothy 2:9, Matthew 5:27-28, and 1 Corinthians 8:9-12 in addition to the articles linked to above. Purchasing modest clothing can be difficult and frustrating, so we’re going to cover a few tips on how to make immodest summer clothing more modest. Layer it up. Tank tops can be a girl’s best friend! Yes, summer is hot, but a long, thin tank won’t add bulk to clothing, and will cover a multitude of top troubles. It will hide cleavage on a low-cut top and cover the back and belly on shorter shirts. I personally love Fashion Bug’s long stretch layering tanks. If you have a larger bust, you can carefully cut out the bra part of a tank top and adjust the straps so it will stay high enough. There’s no need to purchase a tank in every color––simply buy several in the colors you’ll use most, such as white, black, and brown. It’s also a good idea to have one or two wide-strapped tank tops to layer with other thin-strapped tops. Remember that these tank tops are for layering, not to wear alone! Cut it off. Fortunately for the modest-conscious (which I hope is all of us! 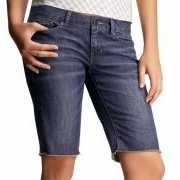 ), bermuda shorts are in! Let’s take advantage of the bermuda shorts, because this is one trend that’d be good for us to keep around. If you’re on a limited budget, get a look like this for free by cutting off an old pair of jeans right above the knee. If you or someone you know can sew, you could also get this look by cutting and hemming a pair of Goodwill jeans to get the bermuda style, then sewing a shoelace onto the front to achieve the drawstring look. Leg-it under. Last summer’s skirts that are a little too short (and I don’t mean mini!) can be paired with a pair of below-the-knee leggings. Black leggings with a little tie on the hem add some pizzazz to a normal outfit, and plain black leggings are sure to go with almost everything. Anything that’s super short (with the hemline more than a couple of inches above the knee) needs to be tossed, because even leggings won’t make that modest. Shoe it down. High heels can make skirts and shorts seem even shorter than they are, so this summer, play it cheap and comfortable in a new pair of flip flops. While it’s sometimes fun to creatively think of new ways to make clothes modest, it’s also refreshing to just look at a store that is already packed full of modest clothing. Bellissima Modesty Boutique is just that––a web store full of cute, modest clothes! Their key verse is “Let the beauty of the Lord be upon us” (Psalm 90:17). They have cute summer tops, some great skirts, fun accessories, and more. The best part is that Bellissima has generously agreed to give away one $25 gift card to a reader! All you have to do is leave a comment below by Friday, May 29, 2009, stating one article of clothing you like from their site, or let us know your favorite modesty tip, and you’ll be entered in our drawing. Comments are moderated, so they may take a day or so to appear. Make sure to include a valid e-mail address in your information (this will not appear in the post). The winner will be announced on May 31 and will be e-mailed with simple instructions on how to claim this prize. The winner must contact us back within seven days of our initial contact, or the gift card will go to someone else. Lime Ricki’s special offer is still available for all Pierce My Heart readers. 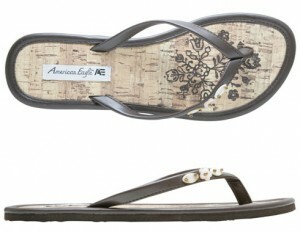 You will save 10% off your entire purchase just by entering the coupon code HEART10 at their checkout by May 15, 2009! This summer, have fun looking modest while staying cool! 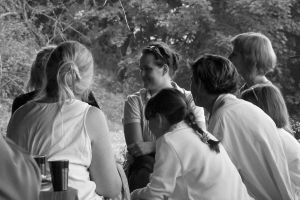 Visit our Monthly Issues page to view all of our past themes, and visit our May 2009 page to read our entire current issue about serving others. The random winner of the Lime Ricki bathing suit is Doreen (doreen.gertsch@)! You should have an e-mail from Pierce My Heart that includes simple instructions on how to claim your prize. If not, please contact us within seven days. If you didn’t win this month, you can still get a really great––and modest––bathing suit at a great price (especially if you shop their clearance section!) because Lime Ricki’s special offer is still available for all Pierce My Heart readers. You will save 10% off your entire purchase just by entering the coupon code HEART10 at their checkout by May 15, 2009! Thanks to everyone who participated in this contest by leaving comments on our article. We have another fun clothing giveaway coming up in May, so check back soon! Congratulations, Connie! We hope this bathing suit will help give you a great start to a stylish and modest summer wardrobe.